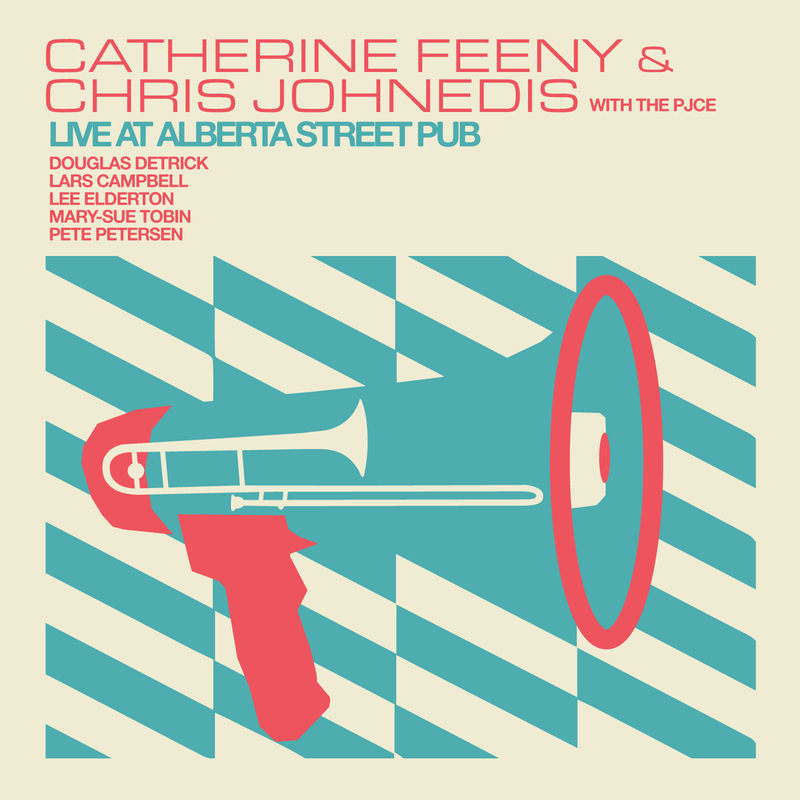 The Catherine Feeny and Chris Johnedis duo’s sparse soundscape of polyryhthms and mellow hooks leaves lots of room for new harmonic ideas. And the PJCE wind quintet — featuring PJCE Executive Director Douglas Detrick on trumpet, Lars Campbell on trombone, Lee Elderton on soprano saxophone, Mary-Sue Tobin on tenor saxophone, and Pete Petersen on baritone saxophone — makes the most of that space, using bold strokes to express what was laid on the page by arrangers. Alternately satisfyingly sweet and challenging, the arrangements expose various layers of the burgeoning Portland Jazz scene, marrying them with a pop sensibility that is new for the PJCE. Like a snapshot of a community rather than a polished portrait, the EP is all the more exciting for its rough edges.